"Sept. 24 marks the 82nd birthday of John W. Young, the only astronaut to fly aboard the Gemini, Apollo and space shuttle spacecraft. 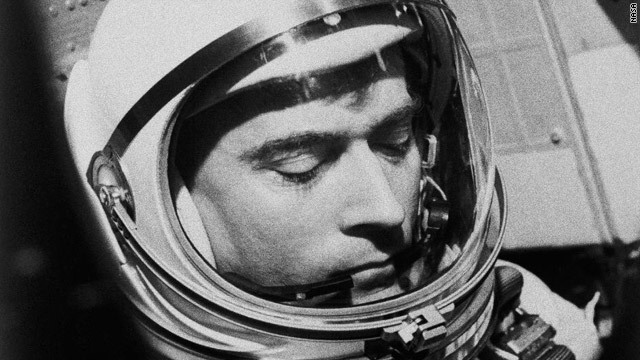 In this 1965 photo, Young is going through last-minute checks before the mission's March 23 launch. Young was the pilot on this flight, which was commanded by original astronaut Gus Grissom."